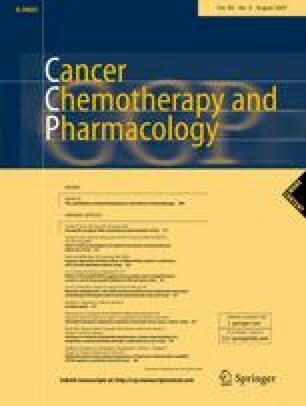 Metronomic chemotherapy, at a minimally toxic dose and with a frequent schedule, is a potentially novel approach to the control of advanced cancer disease via a different mechanism from maximum tolerable doses chemotherapy. Taking advantage of the potential effectiveness of metronomic therapy, tegafur/uracil (UFT) was incorporated into an oxaliplation/infusioanl fluouracil (5-FU)/leucovorin (LV) protocol in this study. The primary endpoints were response rate, time to progression (TTP) and safety profile in 5-FU-pretreated metastatic colorectal cancers (CRCs). Twenty-eight patients with metastatic CRCs resistant or refractory to 5-FU/LV were enrolled. Chemotherapy was administrated every 2 weeks sequentially with 2-h infusion of oxaliplatin (85 mg/m2) and LV (200 mg/m2), intravenous bolus 5-FU (400 mg/m2), 22-h infusion of 5-FU (600 mg/m2) on day 1 and then followed by 10-day daily oral UFT (200 mg/m2)/LV (30 mg/m2). Partial response was seen in ten (35.7%) patients. The median TTP was 5.2 (95% CI: 4.16–6.31) months and the median overall survival was 13.4 (95% CI: 6.39–20.5) months. No grade 3 toxicities above 5% according to National Cancer Institute-Common Toxicity Criteria (NCI-CTC) occurred except sensory neuropathy (10.7%). No grade 4 toxicity, treatment-related mortality or hand–foot syndrome was found. This study protocol with favorable toxicity profile is thus promisingly effective against 5-FU-pretreated metastatic CRCs. Given the present experience, an evaluation of the regimen as front-line treatment of metastatic CRC is planned. This study was supported by grant VGH-92–254 from Taipei Veterans General Hospital and grant 94003 from Szu-Yuan Research Foundation, Taipei.